1. Full Color transparency sized 4" x 5" or 8" x 10". 3. Minimum Resolution is 240 for computer generated artwork. 4. Screen pattern range 20% to 80%. Convert fonts to outlines or provide font files associated with the artwork. If any linked files are placed in the artwork, the linked files need to be sent with the artwork. To ensure safe transfers of files over the internet, be sure to compress your files with Winzip (PC) or Stuffit (MAC). You may email artwork to decal@glassamerica.com or art@glassamerica.com If you choose to send your artwork on a disk, we accept the following types: CD Rom, DVD Rom and lomega Zip 100 Disks. Our goal is to render the best possible end product for your satisfaction. Help us by following these guidelines. Please contact the factory for four color process pricing. 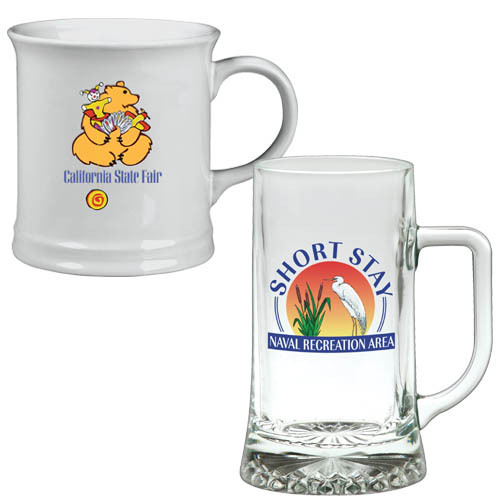 All four color process orders are subject to a $500.00g non-refundable sampling and separation charge or $600.00g for glassware and darker colored items that require a backup white to the four color process decal. Four color process decals require a 576 piece minimum quantity order. The sample color swatch below is close to the actual colors used in our four color process. We do not use the Pantone process colors. 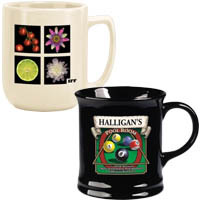 Depending on your design and item, we may add spot colors to match the colored art.